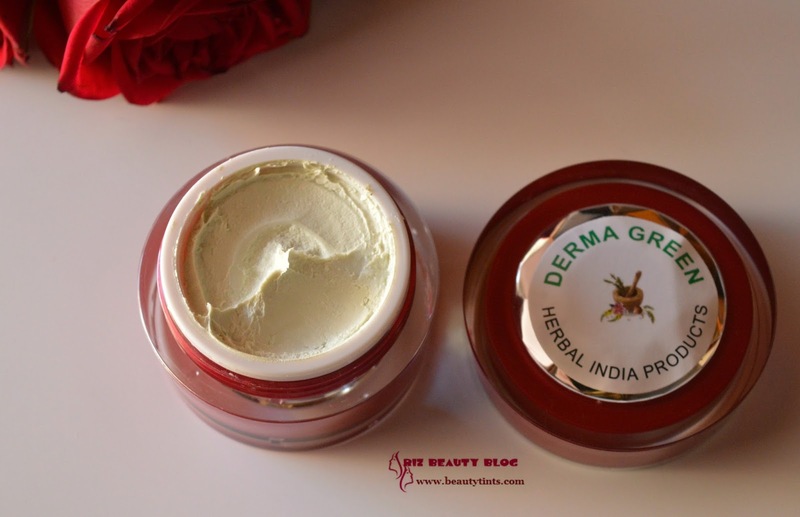 Sriz Beauty Blog: Herbal India Derma Green Cream Review!!! 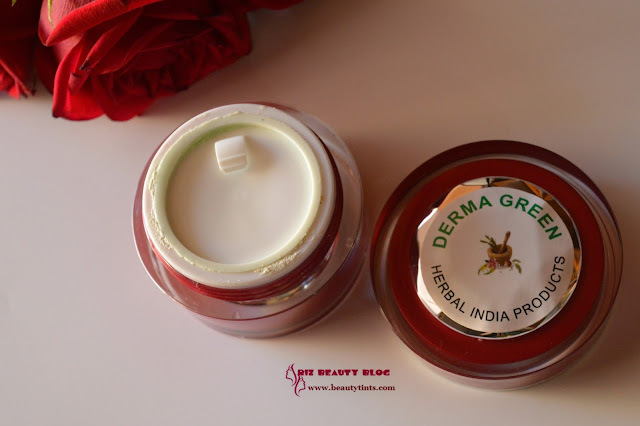 Few days back I have reviewed the Herbal India Derma Amaze Cream with SPF 50++ and now I am reviewing Derma Green Cream,which I am using from past one month.This is basically a whitening cream which helps in lightening the skin by reducing spots,marks and pigmentation.Check out the complete review to see whether it worked for me or not??? Ingredients : Aloe vera, Emu oil,Almond oil,Turmeric,Red sandal,Honey,Tulsi. Derma Green Cream helps to get back your youthful skin with glowing healthy unimaginable glow. Protects from tanning and reduces the overall productions of Melanin. 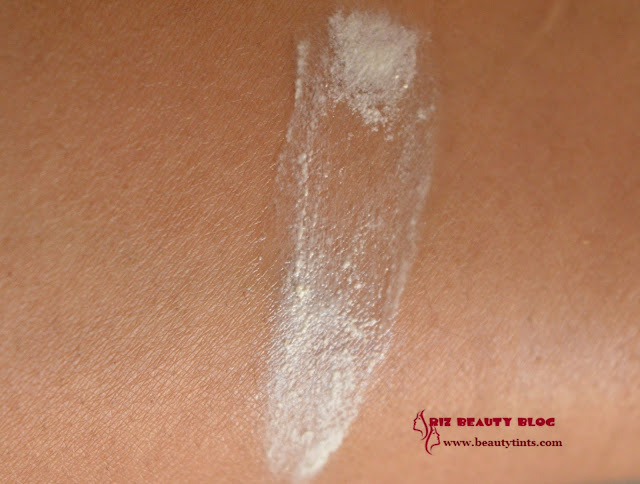 No blemishes and pigmentation and aids in cellular. Availability :Available only from here. 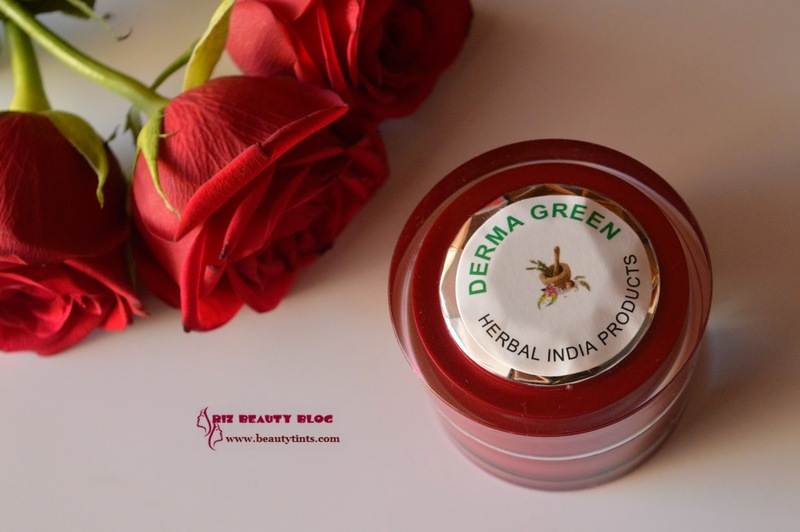 My View On the Product : I have used the Derma Green Plus before which I really liked and now I am using this Derma Green from past one month. 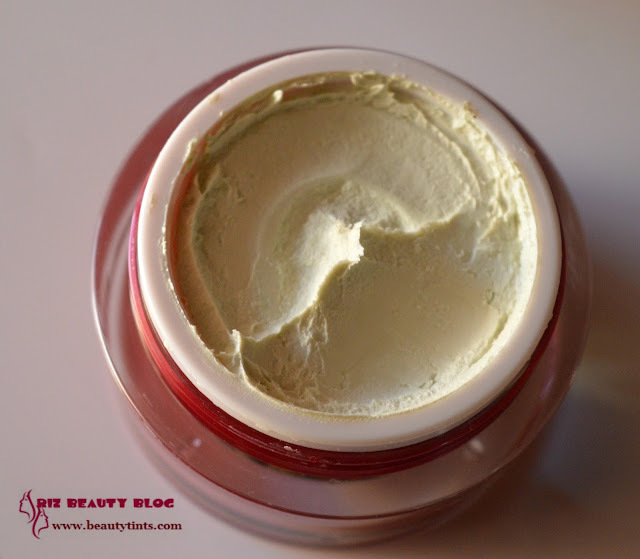 This cream comes in a red colored sturdy tub packaging with a red colored screw cap and an inner lid for extra protection.This cream is in pale green color and has a thick consistency,similar to clay masks.It has a fragrance similar to cologne.It needs a little effort to spread the cream on the face.This cream can be used in the morning as a day cream or in the night as a night cream or just for spot application basing on our suitability.It can be used on any part of the body and even for treating dark underarms.I have two dark stubborn acne marks on my cheek and mild hyper pigmentation.I have been using it only on those areas every night.I could see my marks getting lighter and reduction in the intensity of my hyper pigmentation.This is not a miracle cream that works instantly but definitely a cream that really works on continuous usage.It takes minimum of 2-3 weeks to notice the result.This cream can also be used to under eye areas as an under eye cream,which I am yet to try.I tried using it as a mask for my entire face and loved the result it removed 70% of tan in one go.It also relieves redness and it reduces the acne and pimples too effectively.When used as as night cream,it helps in repairing the skin overnight.As a result the skin looks brighter and renewed in the morning. Though it is a thick cream,it doesn't break out. It is enriched with the goodness of Aloe vera, Emu oil,Almond oil,Turmeric,Red sandal,Honey,Tulsi.Emu oil is known for its powerful anti ageing properties which helps in reducing fine lines and wrinkles gradually. This cream is safe to use during pregnancy as well as it is completely natural and does not contain any harmful ingredients or preservatives.The price is a bit high but as it contains only the pure organic ingredients,it is worth for the price!!! 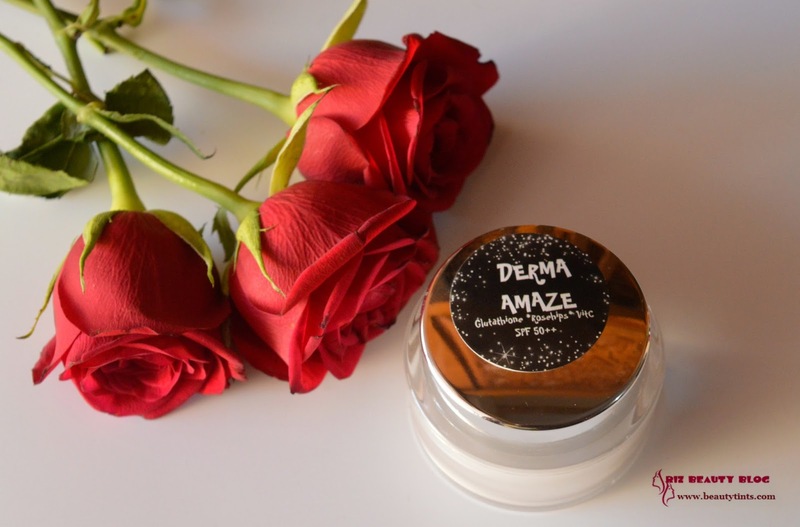 Final Conclusion about Derma Green Cream : Those who have issues with dark spots,uneven skin tone, acne ,blemishes should try this powerful skin whitening cream which can help you to deal with all types of skin issues!! !